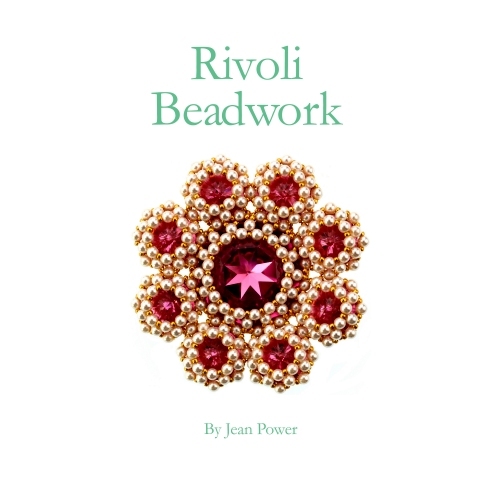 This 167 page book is crammed full of Rivoli beadwork using the sparkling, round, crystal cabochons much loved in the beading world (see the bottom of the page for details on the digital version). Featuring over 75 projects and variations (plus over a hundred more project variations & ideas) there is something for everyone. 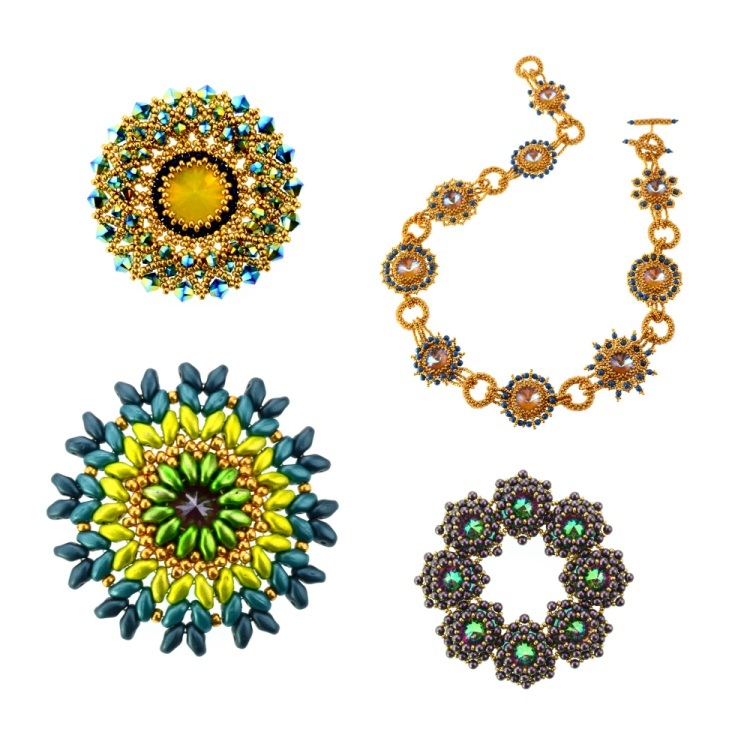 The projects range from small to large and cover earrings, bracelets, pendants, necklaces and even a beaded needle case cover and a scarf ring! The book begins with the basics of Rivoli bezelling (showing all of the materials, techniques, tips & information you need to get started). 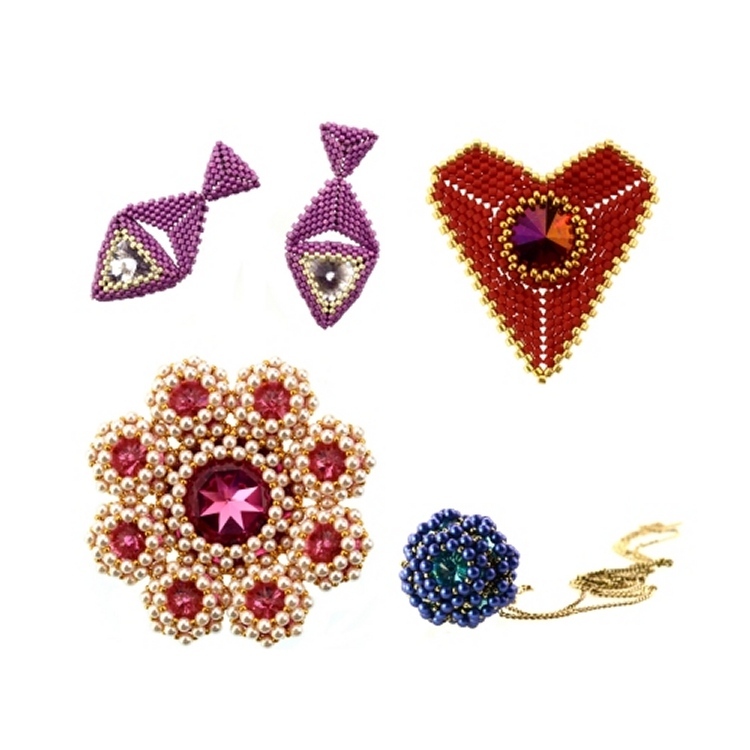 Each chapter has multiple projects along with any necessary technique instructions specific to that area of beadwork. 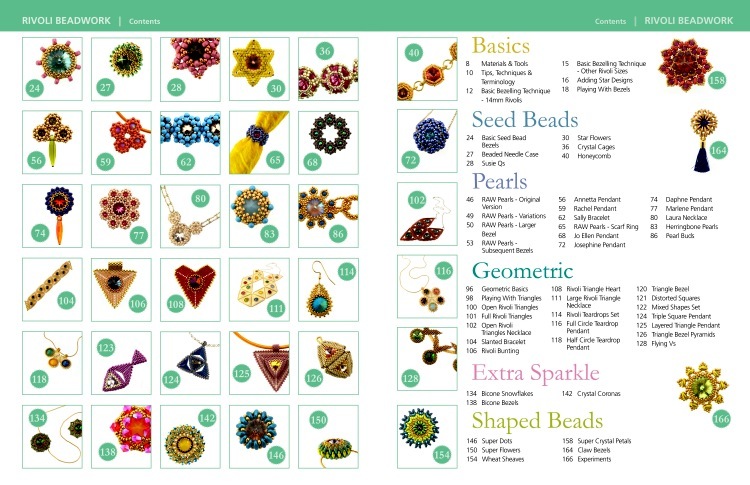 In addition to lots of full-page photos (so you can see all the detail) every project lists: the quantity and size of beads you will need, the colours used, the techniques needed, variation ideas and detailed step-by-step instructions using a mix of text, diagrams and photos. If you are interested in trade copies please contact me. Please note this is the physical edition of the book. If you would also like just a digital copy you can purchase that here (if you purchase a hard copy and would like a digital version then please contact me with your purchase details - please note that as soon as this offer is abused it will be withdrawn).